Ahh, Las Vegas. The city of extravagance. 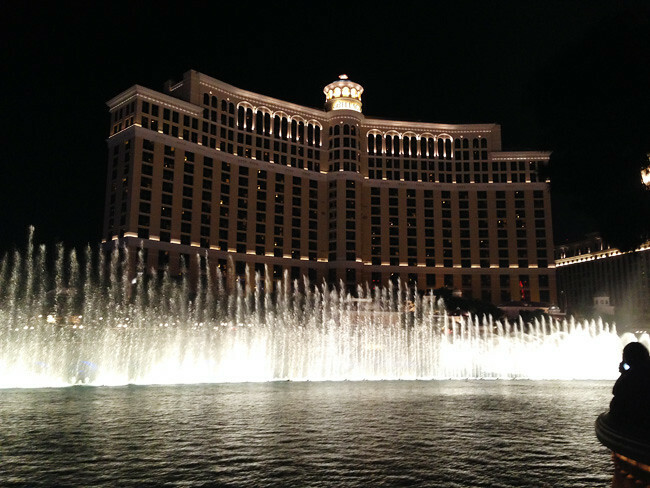 This was my second visit to Las Vegas, however this time round was a lot less...like stepping in front of a hairdryer and more...moderate temperatures (note: do NOT visit Las Vegas in Summer). We only had two nights and one day in Vegas, so I had to ask my friend Ruth to choose between visiting the Grand Canyon, or seeing a show. Luckily for me, she chose to see a show (I had been to the Grand Canyon on my last trip) and we ended up having all day to wonder around the city! Our taxi driver told us we should visit Downtown Las Vegas, aka Old Las Vegas, and walk down Fremont St. So we got the bus down and checked it out. I wasn't sure what exactly we were meant to see when we were there, but it was kind of funny walking around and seeing crazy street performers and the usual Las Vegas faff. We visited The Golden Nugget where a giant chunk of gold was stored which was actually dug up in Australia! 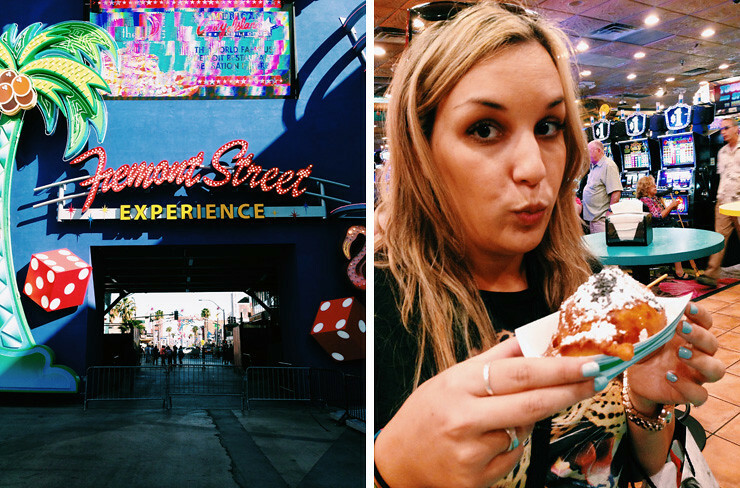 I also walked past a casino that advertised 99c Deep Fried Twinkies and I dragged Ruth in with disbelief written right across my face until it was there, in my hand, oozing with oil and coated in a thick layer of powdered sugar (as if it needed it?). It actually exists, and I impressed myself by lasting a two whole mouthfuls before it went straight in the bin. Oh dear, I still can't believe that was a real thing on a real menu. So we decided to go see 'O' by Cirque De Soleil in the Bellagio Theatre and wow, I have never been so blown away by something in my life. There was so many things happening on that stage I didn't know where to look half the time, and everything about it was just 'O', for real. Never have I gasped so much in one sitting. I would go see that show again in a heartbeat if I could! 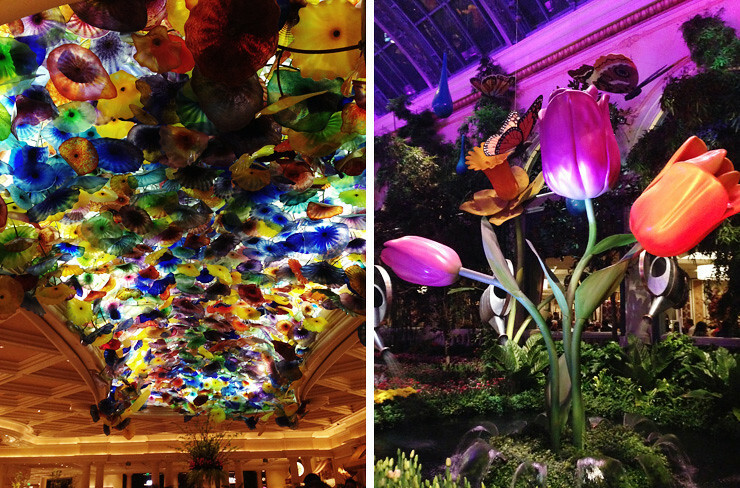 Afterwards, I decided Ruth needed to go see the infamous lobby ceiling in the Bellagio, which is a heap of blown glass flowers clustered together, and it is AMAZING. So beautiful. 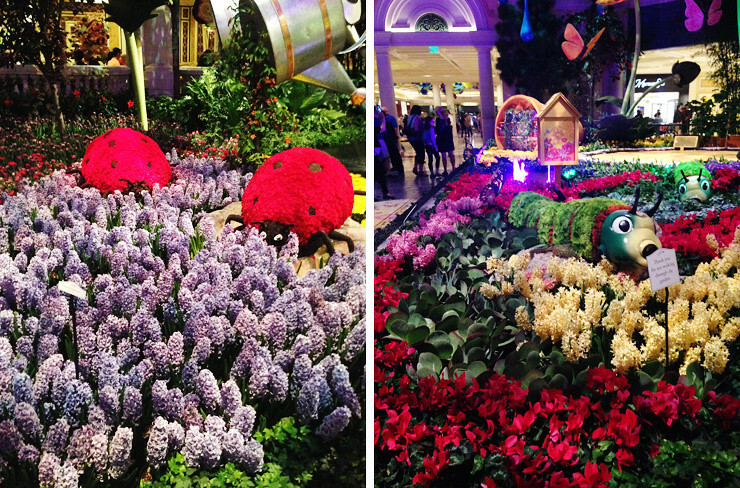 We also wondered through the rest of the lobby to discover a whole section further down where they had created a garden with a mixture of real and fake flowers, a real greenhouse with actual butterflies inside, huge caterpillar sculptures (and lady bugs!) 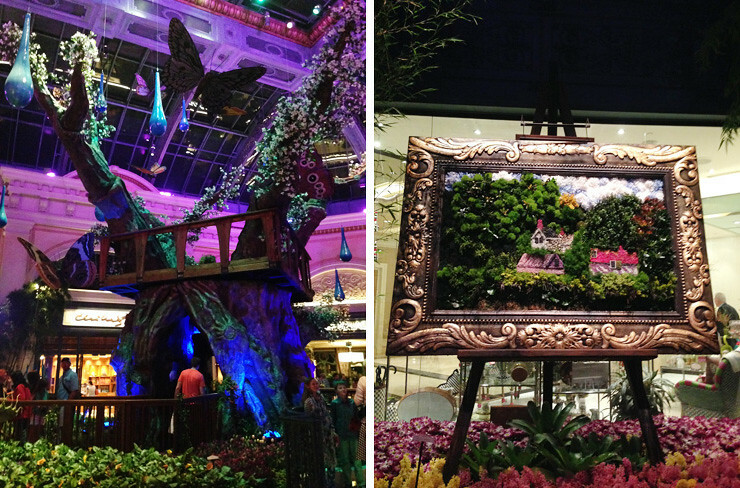 and even a 'painting' that was actually created with real life flowers and plants. Just, simply amazing. Like I said, extravagance. 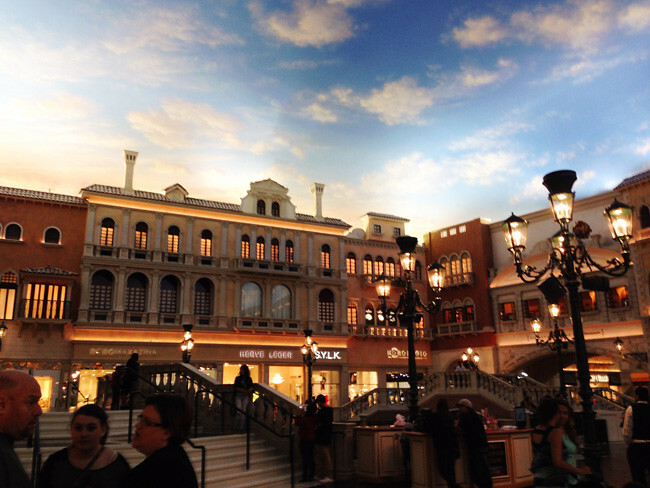 We also took a walk through The Venetian's shops, which are all indoors. 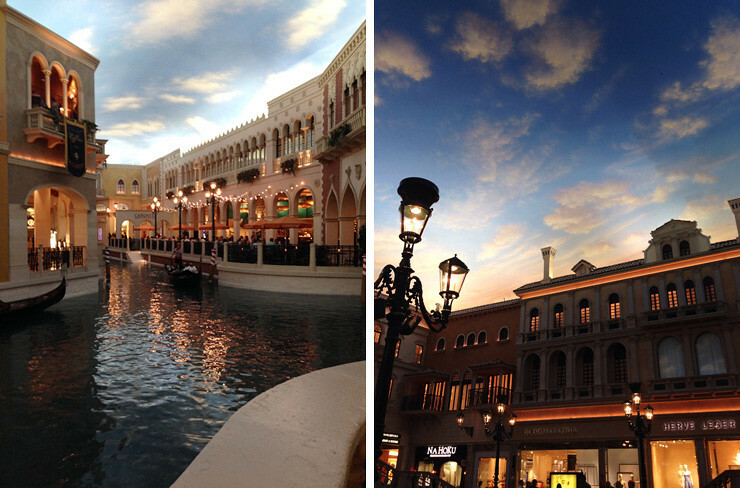 It's themed to look like Venice, and can I just say...as someone who has been to Venice in Italy, they have done a damn good job at replicating it. Just, wow! Can I say extravagance again? I just did. 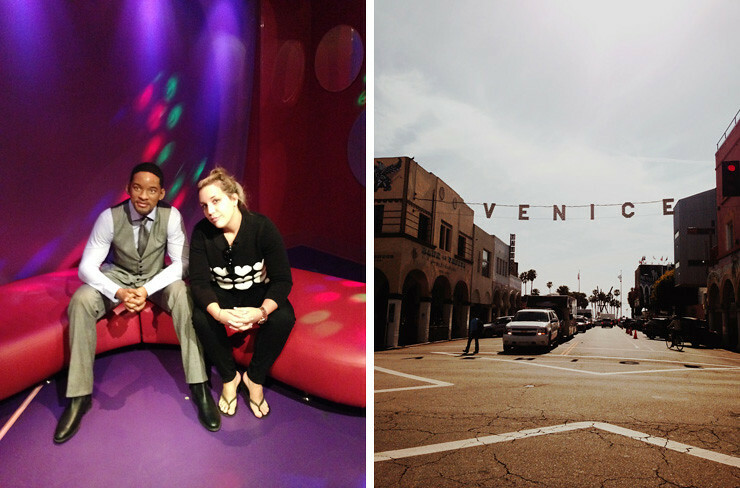 Our last stop of the trip was Los Angeles, we had a day and a half before we left for home, so like the total tourists we are, we stumbled across Madame Tussauds and thought we'd kill some time in there as neither of us had ever been inside one before. I thought it was great, it was scary how life like some of the people were! 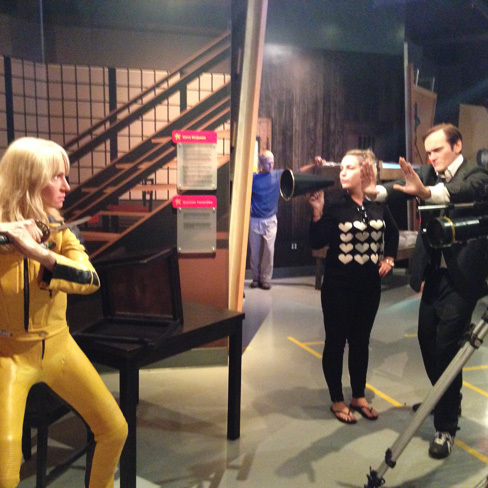 This is me directing with my all time favourite, Quentin Tarantino. No biggie. 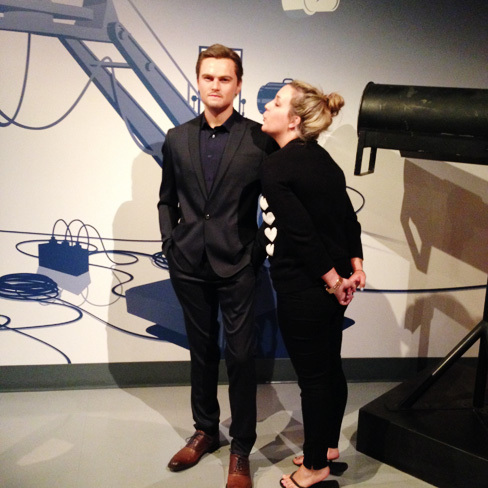 I was pretty much sold on Madame Tussauds when I found out Leo aka Love Of My Life was inside, so I had my moment of course. Oh, Leo. I was also quite chuffed to 'meet' Will Smith, who doesn't love Will Smith? We capped off our holiday by trekking out to Venice Beach and having lunch there, and then boarded our looong plane ride home. This will have been my fourth visit to the United States, and I have loved it each and every time! It's not just the shopping I love, although that helps, it's just everything! I feel pretty well travelled now, I feel like I could safely advise anyone who was travelling there on where to go (lol) and what to see. What a know-it-all, haha! I hope you guys have enjoyed my photos, I'm sorry they were so pic heavy, but I had so much I wanted to share with you! 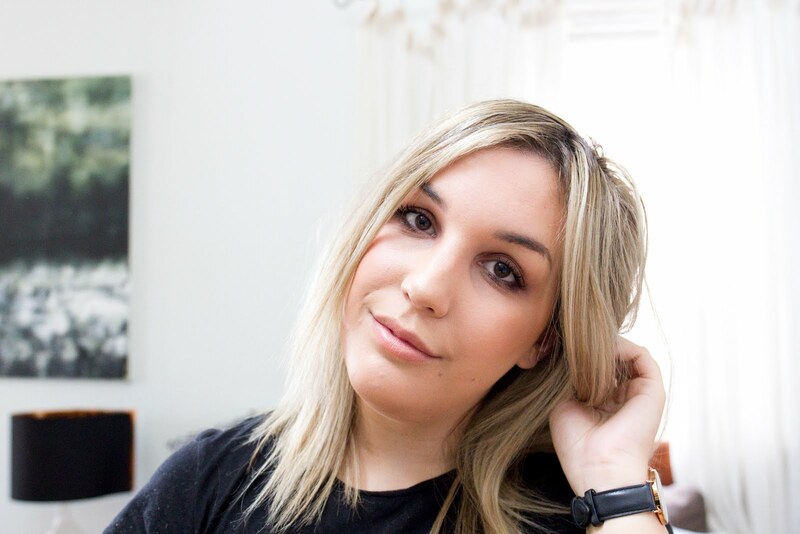 I'm getting back into the habit of blogging though, and I have a few beauty related posts coming up shortly, plus I've been tinkering with video making lately as well, and whilst it's somewhat frustrating and so foreign to me, it's exciting having a new avenue to explore and more room for creativity! As much as I've been loving your US blog posts, they make me so incredibly jealous at the same time! I can't believe you've been four times and I've never even been once! I am DETERMINED to make it happen next year though. At least I hope I can. I want to get a full time job though (well, I'll need to in order to save up for it!) and I think you only get four weeks of annual leave a year though, which is just not an enough. I hope I'll somehow be able to take off more time because people always do when they go on big overseas holidays! I just really, really need to get to a Sephora in New York and buy ALL the makeup! Anyway, Vegas is definitely on my list of cities to visit when I one day get to America. Do they have slot machines in the casinos there? I've always wanted to play the slot machines! When I turned 18, I wanted to do that, but little did I know that by that time, they went digital! I hoping Vegas will have at least retained some "old school-ness". Madame Tussauds is a lot of fun! I went to the one in London right before the Olympics and it was SO crowded, it definitely put me off from ever going again, but I'm glad I did. I think it's just one of those things you do once just for the sake of it. I wouldn't mind getting close to Leo though! When I went, I saw Hitler, The Pope and The Royal Family, to name a few! YES, I always sit at the old school slots! I put $1 notes in lmao, what a cheapskate. But I did win $50 from a dollar once, so I'm not complaining. Ohhh, I would totally get my photo with the Royal Family, that's so cool, haha! Las Vegas is the capital of entertainment! The summer nights are the best time for activities and there are plenty of ways to cool off during the day. That's the reason I'm going to plan las vegas night tour for the upcoming weekend. I need to know your thoughts Brodie Curnow about the Vegas night tour. Hope you'll reply me soon.